After the time has passed come back and click the exclamation mark above your sims head to find one of the fashion hunter collectibles. Every time your sims complete this hobby their hobby skill level up percentage will increase, once you reach 100% you will level up, there are 6 levels. You need to reach level 6 to be able to unlock all of the fashion hunter collectibles, once unlocked you will be able to find them. Style Shark Sporting Chance and Gothic are now unlocked in the hobby collection. Once built you can have a solo sky dive for 10 minutes or wait for a partner and tandem sky dive for 20 minutes. TIP for completing in time? 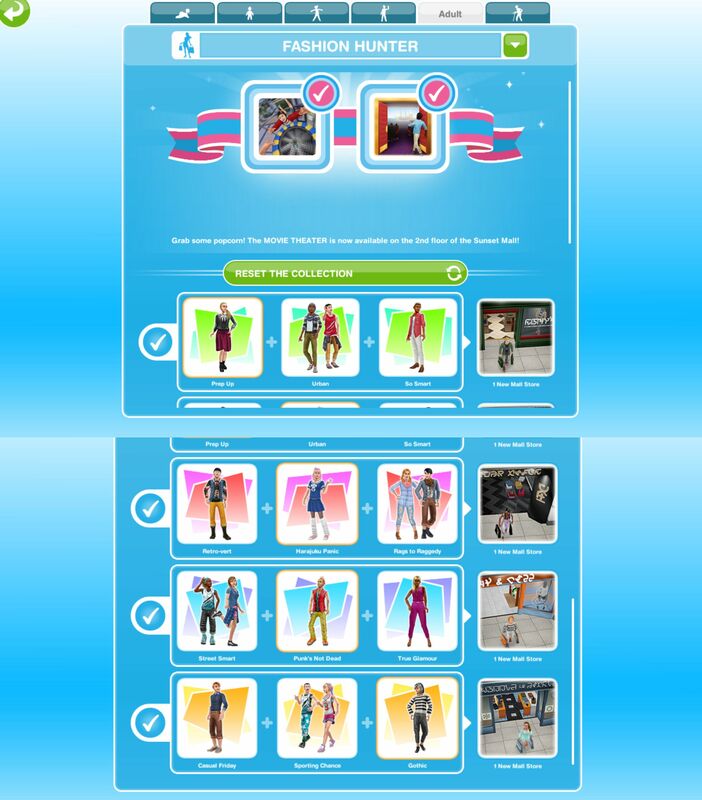 I completed in time by using the lucky spin on level 5 and 6 fashions because my sim was taking too long to level up even when I used LPs to speed up the hobby. 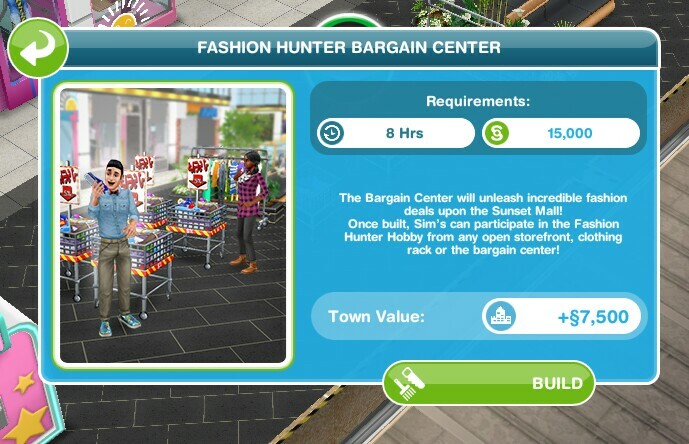 This hobby is incredibly difficult to complete in the time limit, if you are busy don’t build the bargain center yet and if you don’t have any LP I would suggest earning some before starting this hobby if you want to complete it in the 7 day limit. 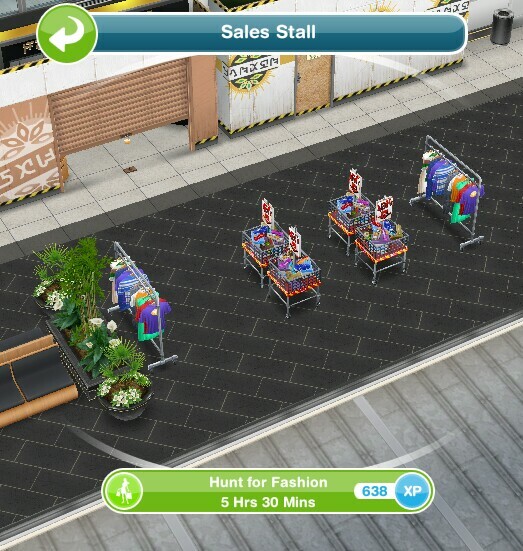 There were several times that I clicked on the mall from the town map rather than going to one of the sims doing the hobby in the sim tracker and a couple of them would complete the task early. I like your review style, Weightless Magic. Very authentic :). Would love to feature your reviews in our weekly curated email digest that goes out to thousands of people. Oh thanks 🙂 how many LPs do you need for the lucky spins for level 5 & 6? (Is it 20 for level6?) I’ve saved up 100 LPs so far, not sure if it’s enough yet. How many lps did you end up using? I really want the skydive thing and want to know what the minimum number of lps I would need to complete in time. Having read these tips, I waited… started with about 450LPs … completed with over 4 days remaining…. but at a cost of over 200LPs. I had one SIM focussed on levelling up…. with the others “picking up the slack”…. level 5 adds 7.5% a time… so 14 repeats needed… (half an hour, plus 4 LPs… * 14 = 7 hours and 56 LPs)… level 6 adds 5%… so 20 repeats… (total 10 hours… and 80 LPs). Not impressed !! But glad I’ve been farming LPs!! So does this mean that the timer for the hobby start with building the bargain center and not from cleaning memory lane? im already move on after i failed in make up hobby, i just lost an item after all…But reward for this hobby is a building!!! I agree. This is the WORST “hobby”. I used LPs a couple of times to speed up. I “failed” with one stupid “look” to go. AND I had 2 sims who were supposedly at level 6. Thanks for your comment. I feel a little bit better for all of the time and LPs I wasted. I don’t even care about the skydiving. I just want to open the cinema, but still. So unfair! Hmm… I’ve completed the Fashion Hunter collection twice and still haven’t been able to unlock the theater. It congratulates me for unlocking it,yet it remains greyed out. Has this happened to anyone else? One thing I did notice on my end is that the hobby isn’t timed for me, so maybe the limited prizes are over? 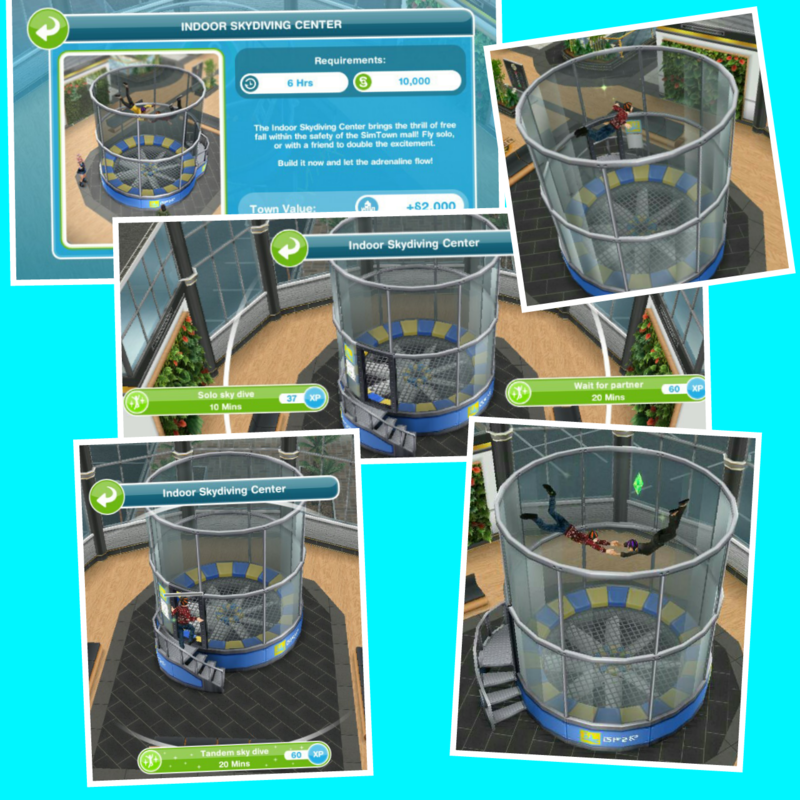 I used my LP to quickly get just one sim up to level 6 not with the lucky spins but by completing the task early, then had 5 sims work on the hobby at the same time. The collection was completed in under 6 days. This hobby is so slow!! Im also annoyed with the amount of teen only stores they added, lol. Thank you so much!! 🙂 Works amazing! Do I have to build the new stores that are unlocked while doing the Fashion Hunter hobby before I can complete the hobby? I have done it literally 50+ times and I cannot get the final one in the last row. It’s a ‘rare’. UGH. No you don’t, this hobby is just a nightmare to complete! Do u remember about how much LP you spent? I’m using the cooking hobby to get LP and I’m wondering how much should I do it before I start the Fashion hobby in order to get the skydiving-Thank you!!! I had no problem finishing quest. 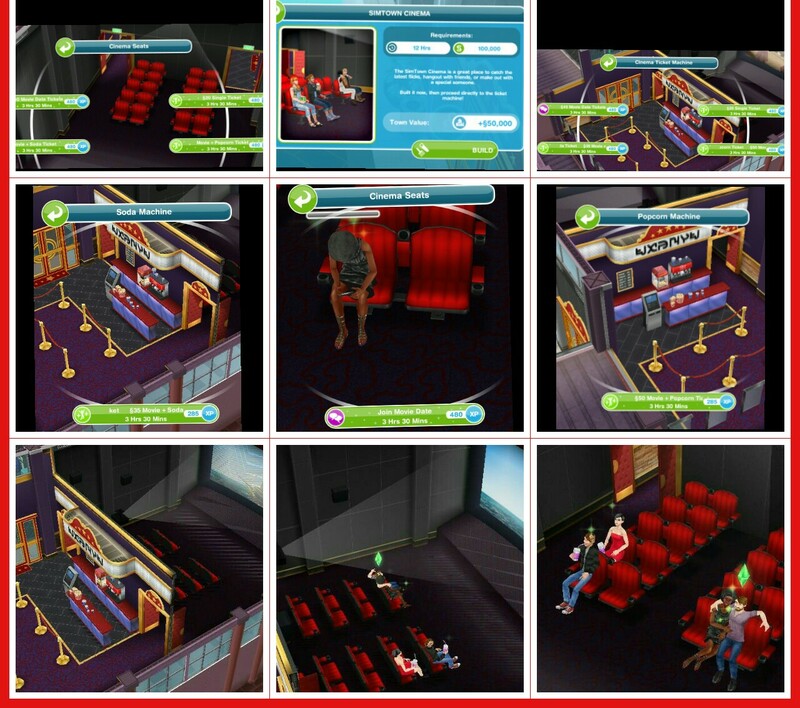 My problem is that after building skydiving center and starting to build cinema, my phone died while still on the app. When I switched batteries I had to reload my game from the cloud… From 22 hours earlier. As soon as I booted up it said time had run out and I did not finish in time. No skydiving center for me. Is there a way that I can get the skydiving center back? This hobby takes so long without using hundreds of LPs unfortunately! Did you complete it in the time limit? I’m about to build the fashion hunter booth, do you think 200LPs would be enough for using the lucky spin to complete the collection for the time-limited prize? Or should I save up some more before I build it? And thank you for creating this really helpful and informative blog! Thank you so much! It is hard to say exactly but I would hope 200 will be enough for you! If you do, by chance, go too slow and miss out on the skydiving center. Do you EVER get another chance? I had 3 days left and 2 rows to do and I woke up today with it telling me limited time event was over, cant get skydiving but can do cinema, ( with 2 stores apparently never to be unlocked). I watch very closely at my events and I even have a couple time extensions to use but was not given a chance. It just shut itself down early. Kinda maddenig and the first time ive seen it do that in the couple years ive been playing. BTW this blog is awesome, thank u for great help! This has happened to all of my hobbies for the last two weeks! It is maddening but EA has helped and given me the items I missed out on! Just to note. I’ve already said that when EA makes odds such that you have to spend actual money, I’m out. So….my fashion hunter is now on week 4. Constant. Forget about the limited 7 day time prize. I’m already onto they’re just so you purchase LPs. So 4 weeks continuous, my fashion hunter isn’t even at level 6. And they expect you to complete a time prize in 7 days? I repeat, please, please watch out that EA are making goals even more unrealistic just to make money while,we are happily mooching our sim towns (someone mentioned it takes 3 days more time to complete cooking goals for example than previously) and I agree. Most of the time prizes are kinda dull. And it really worries me that EA are,preying on younger audiences who can’t resist the ‘have to win’ option. Girl who Games would be really good to get your opinion on this. For the last 6 months, everything geared so that nothing is possible until you spend real cash. Barring that island event. But one event doesn’t detract from entire game being about EA upping the money anti on a freeware version. I understand your point but you also need to remember that EA are a company who are trying to make a living, they need to pay their game developers and everyone else involved too so this is why such events are created. I do agree they are making them more and more ridiculous to complete in the time limit, I mean look at the spa event at the moment, you actually have to play day and night to be in with a chance without using several hundred SPs! But at the same time it is good that they add things like the cooking hobby so you can make LPs easily without buying them because personally I don’t buy money, I will buy items but not money. If players want to spend money on this game then ultimately it is their choice and I don’t feel I should be telling anyone what to do one way or another. First I would like to say that this is my go to website for this game. Simple and beautifully written. I’ve been trying to complete this hobby for (no joke) atleast five months now, it have every fashion apart from the bottom right (Gothic), I haven’t managed to get this yet and I am quite fed up of ‘just keep going’ because…..five months of ‘just keep going’ are a bit ridiculous. I don’t want to do the lucky spin because 20 LP are yet another ridiculous part of the game and it won’t guarantee me the fashion I’ve had three sims looking for over the past several months (nearly every day) on top of the fact that I have no more than 30 LPs after using about 70 on a limited time event. Does anyone also have this problem, is it a bug, can I sort it? I think you have just been incredibly unlucky with this hobby. This is a glitch, you will need to contact EA about these issues so they can sort something out for you as I am unable to fix technical issues. Did you definitely complete it in the time limit? How many LPs would you recommend I have saved up before I start? Don’t want to miss out on the sky diving. Thanks. How many sims can do the fashion hunter hobby at once? It clearly says this in the post, please read before asking. I have had someone doing this hobby at all times for months and still can’t finish the last line. This is so frustrating! I just finished this hobby on time. But this hobby is literally impossible to be completed in 7days without spending LPs if you do the math. Leveling up from lv.5 to 6 requires to do the hobby 20 times because each action yields 5% of hobby experience. That alone is 110 hours which is almost 5 days! I ended up spending roughly about 100 LPs and a time extension. Could you pls give some more info? Skydiving is not between any of mystery boxes prizes, as far as I can see. Tnx up front! Hi. I am experiencing g the problem that most of you have had with the fashion hunter hobby, however – I am now on level 6, with one box to find directions, to unlock the skydive center. 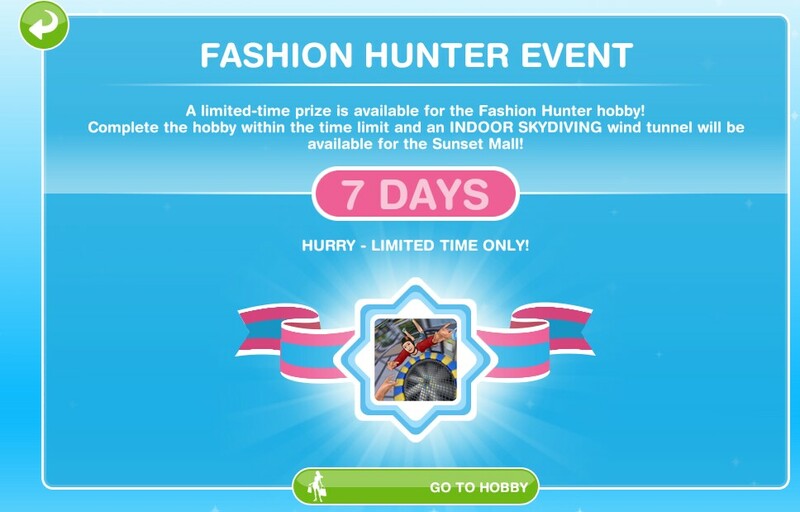 But, when I click on the greyed out Lock (on the skydive center) it says “Fashion hunter Hobby – Limited time prize won”. Does that mean I have already achieved the skydive center, but it’s waiting until I get all fashion hunter items, before opening the sky/center ? I just don’t understand what the “limited time prize won” means… thank you. It will be greyed out because you need to unlock all the fashion items in the time limit, if you haven’t found them all yet you need to keep going and find them all to unlock this limited time prize. I really didn’t have a problem with this Hobby. I only used one Sim and just sped up the action every time. Completed it in 3 days. I horde LP’s from the cooking hobby though. P.S. I love your blog! Great stuff! You’re welcome and thank you! 🙂 Yes I would definitely recommend getting as many LPs as possible before you begin this hobby! Glad I read this post before I started this hobby, thanks for putting it together. Sadly I have now spent 160 LP’s and only have 10hrs left with 3 still left to find. I have 5 Sims doing it (1 at level 6) and just get the same ones over and over. Have all my other sims cooking and doing other hobbies (pre teens, teens, toddlers and babies included) to earn LP’s, but I am just burning through LP’s faster than I can earn them. So frustrating, them making it so hard just takes all the fun out of it. That is really frustrating! I’ve put off completing this hobby on one of my games as I know its going to be a nightmare! I don’t blame you, this hobby was definitely a nightmare! I ended up using 208 LP’s in the end to complete it within the time limit. Very glad to see the end of this one. Thanks again for this blog post, I don’t know how I would have completed it without knowing the need for so many LP’s first. I have been at this hobby for a couple weeks now, down to just 1 sim Hunting for Fashion now since I missed the time limit. Problem is, I STILL havent gotten that last Gothic outfit! I feel like I’m missing something…do I need to have ALL the available stores built to complete this question/hobby?? Sims FreePlay gave us 7 days to finish. I’ve had 5 sims on this hobby nonstop for 7 days (my time is up in 3 hours) and they haven’t even finished the second line. Ridiculous, impossible hobby. No way I’m spending money or LP’s, on principle. They can keep their indoor skydiving along with my irritation. I just wish I didn’t have to keep going to build the stores and cinema. 😦 Worst hobby ever. I completely agree it is the worst hobby!